I’ve always admired the beauty and power of the sea. There’s something wonderfully cathartic about watching the waves roll and crash towards the shore. Yet despite my love of the ocean, I had never taken the time to unravel the fascinating, beautiful and eye-opening world that exists below the surface. 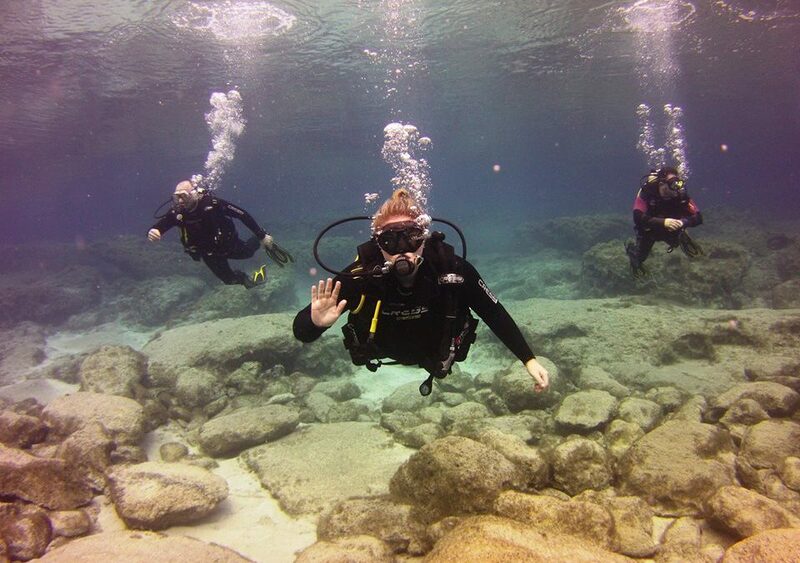 That was until I took the plunge and decided to give my PADI Open Water Diver Course a go with Crest Dive. Having received the PADI manual for my 30th birthday, I quickly realised that the course was comprised of many different parts. While I knew I’d nail the theory side (after all I’m relatively studious when I want to be), I was slightly more fretful about the practical side. Would I panic underwater? Would I accidentally switch off my air? Would I lose a fin? What if I was attacked by a shark who decided to rock up on the Cyprus shores for a holiday? What if I didn’t sink? Maybe I’d be the one person bobbing around on the surface while everyone else had the time of their lives. What if I shot to the surface too quickly? Yes, all of these thoughts went through my head, but when I met my diving instructors and worked my way through the confined water dives step by step, I felt completely at ease. There’s nothing quite like taking those first breaths underwater. The experience is both unnerving and surreal to start with, but quickly becomes somewhat of a natural process. In fact, diving makes your feel alive. Dramatic? Maybe! But as you swim along in a neutrally buoyant position, all you essentially have to worry about is breathing in, breathing out and letting all your worries float away. Literally. And, as breathing continuously is the most important rule in diving, keeping those bubbles coming is a good way to pass the course. Listening to each and every breath also exposes the fragility of being a living human being in a way that’s hard to replicate in other scenarios. It helps you to connect with your body and somehow feel at peace as you navigate each underwater environment. As a new diver, I actually used my breathing to help calm my mind and this I found almost meditative. Breathing slowly and steadily is one of the most important diving skills to master. Other skill tests included using the emergency regulator of a buddy diver and taking off essential equipment underwater such as the mask and BCD. All tasks were challenging and rewarding in their own way and it was great to make continuous progression. My conclusion? Diving is addictive. It is like nothing else and I can’t wait to dive once again. How to choose the right diving centre!